Phenotypic assays are tools essential for drug discovery. 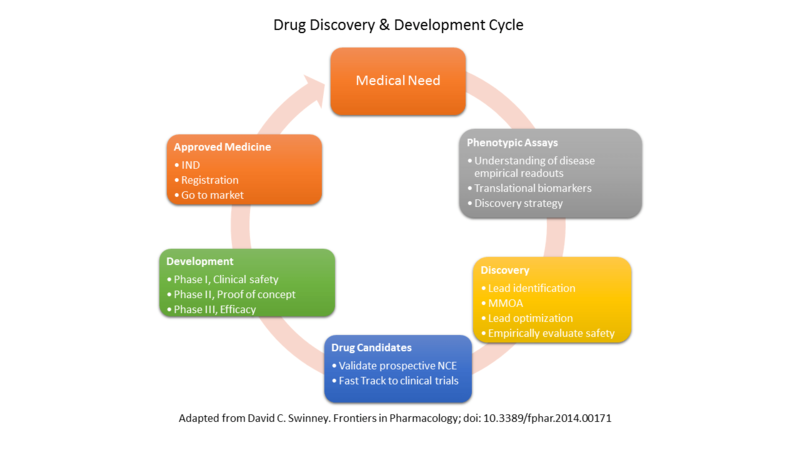 The value of phenotypic assays is increased through effective alignment of phenotypic assay endpoints with the objectives of the relevant stage in the drug discovery and development cycle. There is a great need for validated translational biomarkers to guide drug discovery in order to identify safe and effective medicines prior to clinical evaluation. This is key to decreasing attrition and increasing productivity of pharmaceutical research. The reality is that the more relevant the system is to physiology the better it will predict the clinical success. Associated with this complexity is the feasibility of obtaining predictive information. Phenotypic assays that translate effectively to human disease will always be required for the reasons described above,including the ability to identify an optimal MMOA and derisk safety.